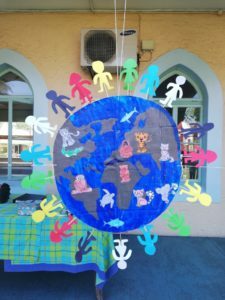 St James Durban celebrated Eco-Week from 11 – 15 March. In the classroom children focused on ecology, endangered plants and animals and how we can help to save our planet. 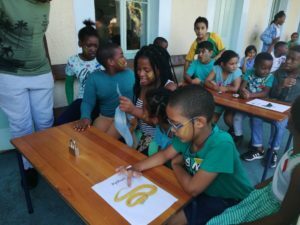 On Wednesday all the children arrived in civvies with a splash of green. Ms Casado, teacher in charge of our ECO WARRIORS had a day full of fun planned for the children. 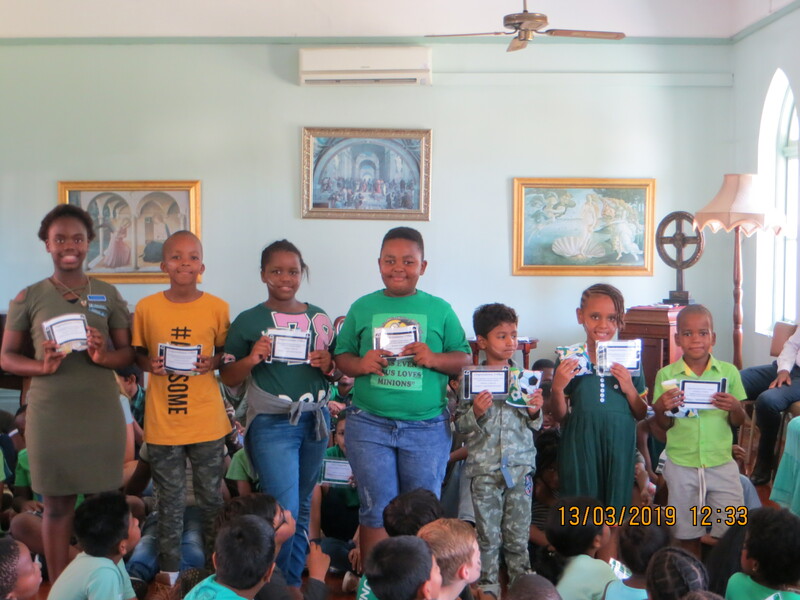 They all participated in an eco-quiz made up of 7 teams comprising a member from grade 1 – 7. The teams were the Pythons, Jellyfish, Komodo Dragons, Butterflies, Wolves, Scarlet Macaws and Black Widow Spiders. After a few grueling rounds of questions the Wolves emerged victorious with 13 points. The audience were there the whole way urging on their favourite teams. 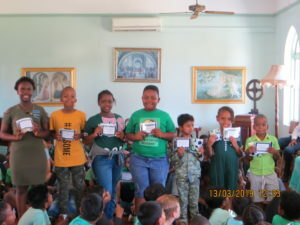 In the afternoon each member of the quiz team was awarded with a certificate for participation, the Pythons received Bronze for 4th place, Macaws received Silver for 3rd place, Spiders gold certificates for 2nd place and the Wolves received Platinum certificates and a goodie bag for their win. Each child then received a refreshing ice-cream cone for all their hard work. A lovely way to end off such a fun-filled morning.